His feast day is commemorated on November 30. Our venerable father Sebastian Dabovich (now St. Sebastian of Jackson and San Francisco) was a prominent Serbian priest in the Russian Mission in America in the 1890s and early 1900s. He founded numerous churches and was the author of several books. He died in Serbia in 1940 and was glorified as a saint on May 29th, 2015. 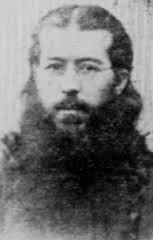 Born John Dabovich (Jovan Dabović) in San Francisco, California on June 21, 1863, to Serbian immigrant parents from Sassovae, Serbia, Archimandrite Sebastian grew up with the church in San Francisco where his parents operated a store. After finishing high school he served his parish as a reader and teacher. In 1884, he was assigned to assist at St. Michael’s Cathedral in Sitka, Alaska before he was sent to Russia to prepare for a life as a missionary priest. 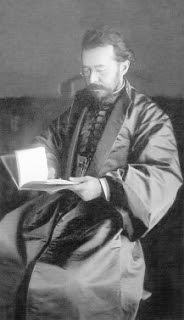 After three years of study at the St. Petersburg and Kiev Theological Academies, John was tonsured a monk in 1887 with the name Sebastian and ordained a deacon. Following his ordination, Dn. Sebastian returned to San Francisco where he served as deacon at the San Francisco cathedral. He also taught at the pastoral school in San Francisco. On August 16, 1892, Dn. Sebastian was ordained a priest by Bishop Nicholas. He was soon sent to Minneapolis, Minnesota to replace Fr. Alexis Toth as the priest of St. Mary’s Church there. While there he also taught at the Missionary School. After a year, Fr. Sebastian returned to San Francisco where he organized the first Serbian Orthodox Church, dedicated to St. Sava, in Jackson, California. Additionally, Fr. Sebastian was also asked by Bishop Tikhon to be a member of the North American Mission administration. Additionally, he was a legitimate force in helping organize the Orthodox Christians – particularly in the Pacific Northwest of the United States, though his missionary work brought him as far south as Arizona – into communities that were capable of supporting churches. Some of the places where he did this include Seattle (the future St. Spiridon Cathedral), where he even served as a temporary priest before Fr. Ambrose Vretta’s arrival in November of 1895, Wilkenson, Washington, Portland, Oregon, and Butte, Montana (the future Holy Trinity Church). In 1902, he continued his missionary activities, returning to Alaska as dean of the Sitka deanery. While he was in Alaska, he helped establish St. Sava Church in Douglas. As more Serbians emigrated to the United States, Abp. Tikhon asked Fr. Sebastian to lead a Serbian Mission in the North American diocese. With his appointment to head the mission, Abp. Tikhon elevated Fr. Sebastian to archimandrite on August 15, 1905. For the next five years Archim. Sebastian led the Serbian Mission from its center at the Holy Resurrection Serbian Orthodox Church in Chicago, Illinois, where he was the parish priest. In 1910, Fr. Sebastian asked for a release from the Serbian mission so that he could return to missionary work. Then in 1913, he joined the faculty of the newly opened St. Platon Seminary in Tenafly, New Jersey. Shortly thereafter feeling a call to service the church in his ancestral Serbia, Fr. Sebastian asked for a release from the American Mission. He went on to serve as a chaplain in the Serbian army in the Balkan Wars and World War I. Other than for brief visits to the United States in 1915 and 1917, Fr. Sebastian spent the rest of his life serving the Church of Yugoslavia. Archim. Sebastian reposed in Yugoslavia on November 30, 1940, and was buried at the Monastery of Zicha. In 2007, his remains were disinterred and brought back to the cemetery at St. Sava Church in Jackson, California for reburial. he was responsible for the founding of the first Serbian churches in the New World. This, however, was only one part of his life’s work, for he tirelessly and zealously sought to spread the Orthodox Faith to all peoples, wherever he was called. He was an Orthodox apostle of universal significance. In 1872, when Jovan was nine years old, the newly consecrated Russian bishop of Alaska and the Aleutians, John (Mitropolsky), transferred his residence from Sitka, Alaska, to San Francisco. Since he was the only Orthodox bishop for the American continent, this move marked the transfer of the entire American diocesan administration to California. Bishop John was proficient in the English language, and came from Russia to America with the intention not only of serving the needs of the Orthodox Native Americans and Russians in Alaska, but also of bringing the Orthodox Faith to the heterodox on the North American continent. This was the primary reason why he moved the diocesan residence to California. In the midst of the large American population in San Francisco, he believed, the Orthodox Church would be able to reveal her truth to the non-Orthodox Christian confessions and to American society in general with greater effect and impact. It is likely that Bishop John’s desire to bring Americans from other Christian confessions into the Orthodox Church was passed on to Jovan Dabovich even at that early period of his life, for it became Jovan’s lifelong desire, also. In coming to San Francisco, Bishop John erected a church on Pierce Street and consecrated it as the St. Alexander Nevsky Cathedral. As often as there was a service at the cathedral, young Jovan was there. Having become wholly dedicated to the Church, he deeply loved the beauty and solemnity of Orthodox worship, and desired with all his heart to serve God and his fellow man at the holy altar. As he later affirmed, it was his intention from childhood to become a priest, and he never thought of anything else. After graduating from high school, Jovan served at the San Francisco cathedral as a reader and chanter of church services, and as a teacher. In 1884 he was assigned to work in the same capacity at St. Michael’s Cathedral in Sitka, which had been established in 1848 by the great enlightener of Alaska, St. Innocent. Amidst his far-reaching missionary endeavors, St. Innocent had converted the Tlingit (Kolosh) natives in the Sitka area to the Orthodox Faith. Jovan Dabovich, when assisting at the Sitka cathedral, became acquainted with native families that St. Innocent had originally evangelized. As a result, the twenty-one-year-old Jovan began some missionary work of his own, manifesting the evangelical zeal that would become the hallmark of his life. Learning from the Orthodox Tlingits in Sitka that there was another Tlingit population to the northeast that had not yet converted to Orthodox Christianity, Jovan initiated their evangelization. As the catechist of the Sitka cathedral, he organized a mission of Tlingit parishioners to bring the Orthodox Faith to the non-Christian Tlingits in the area around present-day Juneau, over a hundred miles away. Several years later he recorded: “My assistants among the Indians—the Kolosh natives Ivan Hlyantich, Pavel Katlyeyan and others—set out for what was then a very small place, now the sizable town of Juneau, and following special instructions from me, they (and other parishioners) spread the Word and Orthodoxy—and the result of that is—the present Church of St. Nicholas in Juneau. So it happened: Within six years of the Orthodox Tlingits of Sitka beginning to evangelize the Tlingits of Juneau under Jovan Dabovich’s guidance, the Juneau natives began coming to Sitka for baptism. Three years later, in 1893, an Orthodox church was built in Juneau by the local natives together with Serbian gold miners who were then living in the area. Today it is the oldest continually functioning church in Alaska. During his stay in Alaska, Jovan decided to further his theological education in preparation for the holy priesthood. Thus, in 1885 he traveled to Russia, where he spent three years studying at the St. Petersburg and Kiev Theological Academies. Upon his graduation in 1888, he was recommended for ordination to the ranks of clergy by Metropolitan Isidore (Nikolsky) of Novgorod, St. Petersburg and Finland. Jovan Dabovich returned to San Francisco in 1888 with his approval for ordination. During the same year, Bishop John returned to Russia, and in his place the Holy Synod of the Russian Orthodox Church appointed Bishop Vladimir (Sokolovsky-Avtonomov) as Bishop of Alaska and the Aleutians. On December 30, 1888, Bishop Vladimir tonsured Jovan a monk at the St. Nicholas Church in San Francisco, giving him the name Sebastian. A week later, on the Feast of the Nativity of Christ, he ordained Fr. Sebastian to the diaconate. Bishop Vladimir had previously served in the Japanese Orthodox Mission under St.Nicholas of Japan. Fluent in Japanese, he brought his Japanese cell-attendant with him to San Francisco. It is likely that this connection with the Orthodox Church in Japan planted the idea in Fr. Sebastian of visiting Japan, which he did later in life. Bishop Vladimir had learned from St. Nicholas of Japan that, when the Orthodox Faith is brought to new territories, it must be made available in the local languages. He became the first Orthodox hierarch in the New World to preach and serve in English; and he required his priests to learn and serve in this language as well. As Fr. Sebastian recalled: “The bishop paid special attention in the temple to preaching the word of God in English, which was the language commonly understood. To this end the bishop himself, although not completely familiar with the English language, improvised talks in English, which the people readily heard.” Bishop Vladimir also assigned Fr. Sebastian, as a native English speaker, to be the English-language preacher at the San Francisco cathedral. Musically talented,Bishop Vladimir formed a superb choir at the cathedral, which he instructed to sing English translations of Orthodox services set to traditional Russian melodies. His efforts attracted many people to the cathedral, which by that time had moved to Powell Street, so that it soon became filled beyond capacity. In 1888 he enlarged, remodeled, and magnificently adorned the cathedral and dedicated it to St. Nicholas. When, in 1889, this cathedral was destroyed by fire, Bishop Vladimir had a new cathedral built in honor of St. Basil the Great. Fr. Sebastian served as deacon in the consecration of the new cathedral. Fr. Sebastian had great admiration for Bishop Vladimir, seeing in him a true shepherd who gave his life for the sheep (cf. John 10:11). The bishop was a man of refined, gentle character who had no regard for his personal needs, living a highly ascetical life and observing a sparse monastic diet. A missionary-minded hierarch like his predecessor Bishop John, he was the first Orthodox bishop to traverse the American continent, which he did three times in search of Orthodox communities and of non-Orthodox people to bring into the Faith. In 1891 he traveled to Minneapolis, Minnesota in order to receive a Uniate (Eastern-rite Roman Catholic) priest, Fr. Alexis Toth, and his parish of 350 believers into the Orthodox Church. In this way he began the return of American Uniates to Orthodoxy, a movement which would bring forth an abundant harvest in the years to come. Fr. Sebastian, in serving under Bishop Vladimir during his formative years as a deacon, was undoubtedly influenced by the bishop’s evangelical spirit, just as he had been formed earlier by the missionary vision of Bishop John. Before his ordination, Fr. Sebastian had submitted a report to Bishop Nicholas in which he estimated that there were some 1,500 Orthodox Christians residing in the states of California and Oregon, and in the then-territory of Washington. He asked that he be assigned to minister to these believers; and Bishop Nicholas, recognizing his rare apostolic zeal, granted his request. Thus, the newly ordained Hieromonk Sebastian was appointed as missionary priest for California and the Pacific Northwest. Losing no time in fulfilling the task given him, within a week after his ordination he left on a missionary tour of the West Coast of North America. He traveled as far north as Vancouver, British Columbia, and as far south as San Diego, eventually covering over 3,000 miles. On this missionary journey Fr. Sebastian found poor Orthodox immigrants of many ethnic backgrounds who lived far from Orthodox churches and clergy. As he wrote in a letter to Bishop Nicholas, some of these believers had come under the influence of Protestant churches, and yet they welcomed the opportunity to return to the Church of their youth. He also found many Uniates who, although they called themselves Orthodox, had acquired what he termed questionable practices resulting from their ecclesiastical ties to Roman Catholicism. While in the Northwest Fr. Sebastian performed baptisms, both of children and adults, and offered the other Mysteries and services of the Church to the isolated Orthodox Christians. Extremely grateful to the missionary priest, these believers began to cherish hopes that Orthodox churches would be founded in their region. In Oregon Fr. Sebastian decided that Portland was the best site for a chapel. While he regretted that there were few Orthodox in the city itself, Portland was a central location for believers in the area. For example, a population of Greek fishermen had settled along the Columbia river and in the port city of Astoria. In Seattle Fr. Sebastian saw even more possibilities, for there he found a core group of dedicated Orthodox Christians who were eager to form a parish. Seattle, he wrote to Bishop Nicholas, “promises to be the center of a lively parish.” He also found Orthodox Christians in the communities of Tacoma, Gig Harbor, and Wilkeson, Washington, and in Vancouver and Victoria, British Columbia. In Gig Harbor he baptized the American Indian wife of a pious Serbian man from Herzegovina; this couple and their large extended family later became founding members of the first Orthodox church in Seattle. While Fr. Sebastian was serving as a missionary in the Pacific Northwest, the above-mentioned Fr. Alexis Toth was traveling from his former Uniate parish in Minneapolis to Uniate communities in Wilkes-Barre and Mayfield, Pennsylvania. Soon he succeeded in bringing these communities into the Orthodox Church as well. An outstanding missionary through whose influence and example nearly thirty thousand Uniates were eventually united to the true Church of Christ, Fr. Alexis was canonized by the Orthodox Church in America in 1994 as St. Alexis of Wilkes-Barre. While serving at the parish in Minneapolis, Fr. Sebastian made his first visit to Chicago, where he spent ten days helping Bishop Nicholas to organize an exhibit of Orthodox Christianity at the World’s Columbian Exposition (also known as the Chicago World’s Fair). While in Chicago, he gathered local Orthodox Serbs and celebrated the Divine Liturgy for them. Although he was only able to meet about twenty Serbs at that time, years later he would build upon the foundation he had laid for a Serbian Orthodox church in Chicago. After less than a year of serving in Minneapolis, Fr. Sebastian was recalled to the West Coast to resume his missionary work there. He arrived back in San Francisco in December of 1893. Shortly thereafter he went to baptize a Serbian infant in Jackson, California, a gold-mining community near the “mother lode.” Seeing that many Serbian miners had settled with their families in Jackson and in neighboring towns, Fr. Sebastian immediately recognized the need to build an Orthodox church there, and he urged the local Serbs to begin planning one. The Serbs agreed and began pooling their resources. Fr. Sebastian asked for and received a contribution from the “Kennedy Mining and Milling Company,” which owned the main gold mine in Jackson. Soon the Serbs purchased land for both a cemetery and a church. In February of 1894, Bishop Nicholas came to Jackson to bless the church property; in May of the same year the first burial in the cemetery occurred; and by December the church was completed. It was a small but beautiful church, situated prominently atop the tallest hill in the town, and surrounded by the cemetery. While remaining based in San Francisco, Fr. Sebastian regularly went to Jackson to serve at the new parish. He also continued his missionary travels throughout the western United States. In August 1894 he visited Portland and Seattle, where he had helped to organize Orthodox communities two years before. In Portland he spent a few weeks raising funds to erect a church on land donated for that purpose by Lavrenti Chernoff, an Alaskan of mixed Native-Russian ancestry. By the time Fr. Sebastian left Portland, he had succeeded in raising the needed money, and work on the new church was already in progress. In Seattle he also arranged for the erecting of a church. Fr. Sebastian’s next trip northward was in February 1895. The church in Portland had by this time been completed, and Fr. Sebastian served the first Divine Liturgy there, dedicating it in the name of the “Holy and Life-giving Trinity.” At that time, the small congregation consisted of six Syrians, four Serbs, and two Russians. (By 1907, the community had grown to about eighty believers.) The Orthodox church in Seattle, meanwhile, was in the process of being built, and was soon to receive its first priest, Fr. Amvrosios Vretta. In his travels, Fr. Sebastian again visited the Orthodox community in Wilkeson, Washington, helping to found a parish there which later, in 1900, would build a church also dedicated to the Holy Trinity. Further south, he met with groups of Serbs in Angels Camp (near Jackson), California; in Fresno, California (and in the nearby towns of Visalia and Hanford); and in Bisbee, Arizona. These visits bore fruit as well, for in all of these places Serbian Orthodox churches were eventually built. Fr. Sebastian also visited isolated Orthodox Christians who had recently settled in the mining boomtown of Virginia City, Nevada. When the famed Comstock silver lode was exhausted in 1898, however, the city’s population declined drastically, and it is probable that the small Orthodox community moved elsewhere. In recognition of Fr. Sebastian’s missionary labors, in 1895 Bishop Nicholas awarded him with a gold cross. Although this award was normally given in the Russian Church only after ten years of priestly ministry, Fr. Sebastian received it not even a full three years after his ordination to the priesthood. The reason for this was explained by Bishop Nicholas in his address to Fr. Sebastian: “With the blessing of the Most-holy Ruling Synod of All Russia and by the assent of the Most-pious Emperor, this high sign of distinction is now bestowed upon you, my beloved brother in the Lord. It is granted to you not only as a reward for your devout ministry in the lower ecclesiastical ranks, but even more so as an encouragement in the ever greater labors and heroic tasks which you will continue to face in your missionary ministry… You were not forced to pick up the cross of a monk and a missionary, but did it of your own free will, for your and others’ salvation. This made you not your own but Christ’s (cf. Gal. 3:29); now you should seek not your own (cf. I Cor. 13:5) but the things which are Jesus Christ’s (cf. Phil. 2:21). In 1896 Fr. Sebastian made a trip to his ancestral land of Serbia, where he studied theology for several months. When he returned to San Francisco in November of the same year, he was assigned as pastor of St. Basil Cathedral and as a teacher in the church school. This new position did not prevent him from carrying on his missionary work throughout the western United States. He continued to visit the new communities he had formed and organized, tending to their spiritual needs, making the Holy Mysteries available to them, and ensuring their survival. When the St. Sava Church in Jackson, California, had received full parish status, Bishop Nicholas had wanted it to be chartered as Russian Orthodox, since it was under the Russian diocese. Fr. Sebastian defended the desire of the parishioners to have their charter read “Serbian Orthodox,” but also indicated that the parish would still be under the omophorion of the Russian bishop for the American mission. Thus Fr. Sebastian defended the right of the Serbian community to retain its ethnic identity, and at the same time upheld the authority of the local diocesan bishop. In August of 1897, Fr. Sebastian traveled to Butte, Montana. At that time the center of the nation’s copper-mining industry, the western boomtown of Butte was the home of a large number of Serbs who had come to work in the mines. On the Feast of the Dormition Fr. Sebastian celebrated the first Divine Liturgy in the history of Butte, and afterwards he met with the thirty-one Serbs in attendance in order to organize a parish there. He followed up on this visit by traveling to Butte four to six times a year to serve the Divine Liturgy and observe the progress of the parish. At the end of October in 1897, Fr. Sebastian and Fr. Alexander Hotovitsky—a Russian priest from New York, later canonized as a New Martyr of Russia—accompanied Bishop Nicholas on a trip to Washington, D.C. Fathers Sebastian and Alexander served as translators when Bishop Nicholas met with President William McKinley. This was the second meeting in the history of the United States between an Orthodox bishop and a U.S. president (the first having been a meeting between Bishop Vladimir and President Grover Cleveland in 1889). In his audience with President McKinley, Bishop Nicholas expressed his concern over the treatment of Orthodox Christians in Alaska, particularly over the fact that American trading companies were compelling the faithful to work on Sundays and feast days and had unlawfully taken possession of Church properties. The president promised to bring the matter before Congress. On November 9, 1897, soon after returning to his post at the San Francisco cathedral, Fr. Sebastian officiated at the wedding of his niece, Ella, to a young Russian immigrant, Theodore Pashkovsky. His new son-in-law was ordained to the priesthood less than a month afterward. Many years later, following the repose of Ella, Fr. Theodore Pashkovksy would be tonsured a monk with the name Theophilus, consecrated a bishop, and eventually (in 1934) elected as the Metropolitan of All America and Canada for the American Metropolia. The year 1898 brought a great blessing for Orthodoxy in America, when Bishop Tikhon (Bellavin) was appointed by the Russian Orthodox Church to head the American diocese. A farsighted apostle of Christ, Bishop Tikhon would later become the Patriarch of Moscowand all Russia, and would eventually be canonized by the Russian Orthodox Church. On December 23, 1898, St. Tikhon arrived at his new cathedral city of San Francisco. He was met at the train station by Fr. Sebastian, by Hieromonk John Shamie (a Syrian priest from the Orthodox mission in Galveston, Texas), and by representatives of the various nationalities of the cathedral parish: Russian, Serbian, Greek, and Syro-Arab. Bishop Tikhon was at that time the only Orthodox bishop of the North American continent, the head of a vast multilingual and multiethnic missionary diocese. By the time Bishop Tikhon came to America, Fr. Sebastian had become well known as a missionary not only at home but also abroad. In 1899 Fr. Sebastian received the Order of St. Anne from the Tsar of Russia, Nicholas II. This order had been conferred on him through the influence of Bishop Nicholas, who, on returning to Russia the previous year, had had an audience with the Tsar and had recommended Fr. Sebastian for the award. Two years earlier, in 1897, Fr. Sebastian had been awarded the Order of Daniel from Prince Nicholas of Montenegro, primarily in recognition of the pastoral care he had shown for Serbian immigrants who had come to America from Montenegro, and also for the articles he had written on the province of Montenegro and its struggles against the Turks. According to the testimony of St. Nicholai of Zhicha, Fr. Sebastian was also given awards by the King of Serbia and the Patriarch of Jerusalem. Toward the end of the nineteenth century, Fr. Sebastian somehow found time, amidst his already abundant labors, to develop one of the first English translations of the Orthodox Divine Liturgy, and also to write three English-language books on the Orthodox Faith: The Holy Orthodox Church: The Rituals, Services, and Sacraments of the Eastern Apostolic (Greek-Russian) Church(1898); Lives of the Saints, and Several Lectures and Sermons (1898); and Preaching in the Russian Church: Lectures and Sermons by a Priest of the Holy Orthodox Church (1899). In addition, he wrote articles on Orthodoxy in Alaska and California, and on Orthodox traditions surrounding the Feast of the Nativity of Christ. Published with money from his own small salary, Fr. Sebastian’s books bore witness to the missionary vision of their author. As his letter to Metropolitan Mihailo makes clear, they were intended to serve as books of basic Orthodox instruction, written for second- and third-generation immigrants from Orthodox lands, most of whom had English as their first language, and also for non-Orthodox who were interested in the Orthodox Church. While such books are common today, at the end of the nineteenth century they were a rarity and far ahead of their time. Anglicans, Episcopalians and others had by then translated and published some English-language books on Orthodoxy, but the Orthodox themselves had published very few expositions of the Orthodox Faith in English. Fr. Sebastian understood that, for the growth of Orthodoxy in America, this situation had to change—that the Orthodox Faith had to be taught and preached, not only in the languages of traditional Orthodox countries but also in the common language of the new country. As an Orthodox preacher of the Gospel to the modern world, Fr. Sebastian boldly challenged the unbelief that was increasing in his day and that has only continued to grow during the following century. His books included a lengthy treatise entitled “The Authenticity and Truthfulness of the Gospel,” in which he defended the historicity of the Gospel narratives; an article called “The Necessity for Divine Revelation, and the Indications of a Revealed Religion,” in which he showed why the Christian Faith alone is the full and unadulterated revelation of God; and an essay on “The Immortality of the Soul,” in which he demonstrated that, contrary to the view of modern materialists, the soul indeed lives on and is active after the body dies, even as the body awaits the General Resurrection. Fr. Sebastian’s books also reveal how much he valued and venerated his holy missionary predecessors in America, Saints Herman and Innocent of Alaska. In one place, he included the name “Ghermanus of Alaska” in a list of particularly illustrious saints. This is striking in a book published in 1898—seventy-two years before the humble monk Herman was formally glorified as a saint by the Orthodox Church. In yet another book, Fr. Sebastian included an address he had delivered at the San Francisco cathedral on August 26, 1897, on the occasion of the centennial of the birth of St. Innocent of Alaska. St. Innocent, who had reposed in Russia eighteen years before, was still remembered by some of the Orthodox Christians then in San Francisco. At the request of Bishop Nicholas, Fr. Sebastian had produced the first English translation of the Life of St. Innocent, which was presented at the centennial celebrations. In his address, Fr. Sebastian proclaimed: “Innocentius: My whole being thrills with a veneration at the sound of that name…. I become bold and venture to look into the unseen, where I behold the spiritual eyes of our first hard-working Missionary, with kindly light beaming upon this gathering.” Again, these words are all the more remarkable considering that they were uttered a full eighty years before St. Innocent’s canonization. Undoubtedly, Fr. Sebastian looked on both uncanonized saints, Herman and Innocent, as models of emulation and as heavenly helpers in his own apostolic labors in America. Ever seeking to reach out to those outside the Church, Fr. Sebastian initiated contacts and discussions with non-Orthodox churches. He made his greatest efforts in the direction of the Episcopalian Church, which, at the turn of the twentieth century, he saw as the most similar to the Orthodox Church among non-Orthodox American confessions, and also as the church most receptive to Orthodoxy. As early as 1865, two years after Fr. Sebastian’s birth, the ober-procurator of the Holy Synod of the Russian Church had noted that an Orthodox church was needed in San Francisco not only to provide for the residents who were already Orthodox but also “to answer to the growing interest in the Orthodox Faith among American Episcopalians.” Having grown up in San Francisco and having been entrusted with the apostolic ministry of the holy priesthood, Fr. Sebastian now sought to address this need. He met several times with Bishop Charles Grafton, Episcopalian bishop of Fond du Lac, Wisconsin, and was instrumental in organizing a conference of Orthodox-Episcopalian dialogue in Fond du Lac. In November of 1900, Bishop Tikhon, together with Fr. Sebastian and Fr. John Kochurov, rector of the Chicago cathedral and future New Martyr of Russia, attended the consecration of a vicar for Bishop Grafton. Three years later Bishop Grafton made a trip to Russia to experience the Orthodox Church there firsthand. In all of his meetings with Episcopalians, Fr. Sebastian was sympathetic, respectful and understanding, appreciating the points in which Episcopalian doctrine and practice still reflected the original Orthodox Faith. At the same time, however, he was firmly convinced that he must reveal the Orthodox Church as the one, true Church of Christ. Although Fr. Sebastian’s efforts to bring Episcopalians into the Orthodox Church did not prove successful during his lifetime, St. Tikhon later noted that Fr. Sebastian was greatly responsible for making non-Orthodox Christians, particularly Episcopalians, aware of the teachings of the Orthodox Church. According to one biographer of Fr. Sebastian, some of the Western Rite parishes that were received many years later into the Antiochian Orthodox Archdiocese of North America pointed to these early efforts of Fr. Sebastian as a significant stepping-stone in the return of Episcopalians to the Orthodox Church. From the beginning of his time in America, St. Tikhon had recognized Fr. Sebastian’s abilities as a missionary pastor. In 1900 he appointed Fr. Sebastian to the North American Ecclesiastical Consistory, which was the diocesan council of the entire American mission. Then, in 1902, he appointed him as the Dean of the Sitka Deanery and the superintendent of Alaskan missions. Thus, after an absence of eighteen years, Fr. Sebastian returned to Alaska. He served the Sitka Deanery for two years, during which time St. Tikhon elevated him to the rank of abbot. During his time in Alaska Fr. Sebastian made contact with a group of Serbian and Russian miners in Douglas, near Juneau, and quickly set about providing an Orthodox church for them. Land was donated by the local mining company, and a donation for the church’s construction was sent from the Holy Assembly of Bishops in Serbia. Fr. Sebastian built the church with his own hands, working together with the local Orthodox Christians. On July 23, 1903, Fr. Sebastian, along with Hieromonk Anthony (Deshkevich-Koribut) and the priest Aleksandar Jaroshevich, consecrated the Church of St. Sava in Douglas. Upon leaving Alaska in 1903, Fr. Sebastian went to Chicago, Illinois, where he continued the work he had initiated a decade earlier of establishing a Serbian parish. On this trip he met many more Serbs than he had during his first trip to the city. He stayed for a week and served the Divine Liturgy for them. A number of families pledged their support in building a church. During the same year Fr. Sebastian also paid another visit to the Serbian community in Butte, Montana, encouraging the parishioners to raise money to build a church and obtain a resident priest. Then, after a brief stay in San Francisco, he left on a trip to Russia and Serbia. Within four months after Fr. Sebastian’s visit, the parishioners in Butte, Montana were able to raise enough money to start building a temple dedicated to the Holy Trinity. The church was completed in the fall of 1904, and on the Feast of the Beheading of St. John the Forerunner, August 29/September 11, Fr. Sebastian served the first Divine Liturgy in the new church, assisted by the Serbian priest, Hieromonk Jacob (Odzhich). On Vidovdan, June 15/28, 1905, St. Tikhon consecrated the Holy Trinity Serbian Orthodox Church in Butte, assisted by Fr. Sebastian and by Fr. Jacob, who became the church’s first permanent priest. Due to the growth and diversity of the American diocese, St. Tikhon had by this time begun to restructure it with the blessing of the Holy Synod in Russia. In 1903 he transferred the diocesan see from San Francisco to New York and assisted in the consecration of a Russian vicar bishop for Alaska, Bishop Innocent (Pustynsky). At the same time, in the Orthodox spirit of sobornost (catholicity), he sought to provide for the needs of his multiethnic Orthodox flock in America, realizing that each ethnic group required special attention and leadership. 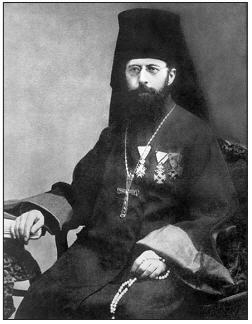 As he wrote to theHoly Synod in Russia in 1905: “We do not consider that we have the right to interfere with the national character of the churches in this country; on the contrary, we try to preserve it, giving each a chance to be governed by leaders of the same nationality.” With this in mind, in 1904 he took part in consecrating Archimandrite Raphael (Hawaweeny), later canonized as St. Raphael of Brooklyn, as a vicar bishop for the Syro-Arab Orthodox churches in America. St. Tikhon also planned to consecrate a vicar bishop for the Serbian Orthodox churches in America. In March 1905 he established the Serbian Orthodox Mission in America, centered in Chicago. Anticipating that Fr. Sebastian, like St. Raphael for the Arabs, would become the bishop for this mission, he transferred him to Chicago and placed him in charge of the Serbian OrthodoxMission. At the same time he appointed him as the parish priest of the Serbs in Chicago, although they did not yet have a church. The newly elevated Archimandrite Sebastian served as rector of the church he had founded in Chicago. During his time as head of the Serbian Orthodox Mission, he tended to the needs of the many Serbian communities throughout the country. He also initiated the publication of the Herald of the Serbian Church in North America, the first Serbian Church newspaper in the United States. In 1905 St. Tikhon entrusted Fr. Sebastian with the task of procuring written permission from the hierarchy in Serbia for the consecration of a vicar bishop for the Serbian Orthodox Mission. Taking this task very seriously, Fr. Sebastian wrote letters to Patriarch Georgije and to the Holy Synod of Bishops in Serbia, asking for a letter confirming that, as far as they were concerned, there was no obstacle to the appointment of a bishop for the Serbs in North America. The hierarchy in Serbia, however, not knowing firsthand the situation of Serbs in America, and also not being certain of the relationship between the Russian and Serbian hierarchies in the context of America, replied that they were not prepared to send such a letter to the Holy Synod of Bishops in Russia. Meanwhile, some Serbian congregations in America, not wanting to be under the Russian Church even if they could have a Serbian vicar bishop, were appealing directly to bishops in Serbia for archpastoral support and direction. “Last Easter in three churches there were no services, a fourth was closed, and many colonies with a fairly dense Orthodox population did not even hear ‘Christ is Risen.’ It is impossible to obtain priests anywhere, and in most cases people cannot give enough to support a priest properly. Now they have promised me in Belgrade that at the next Assembly of Bishops they will raise the question of allocating two scholarships for the Mission, so that two Serbian lads from America may be educated at a seminary in Serbia. But this presents other problems: finding the money to send these lads to Europe. Since the Cathedral of St. Basil in Fr. Sebastian’s native city of San Francisco had been destroyed in the great earthquake of 1906, a new cathedral, dedicated to the Holy Trinity and located at Green and Van Ness, had been built. In July of 1909 Archimandrite Sebastian traveled to San Francisco in order to consecrate the new cathedral. In reality, Fr. Sebastian, as a selfless servant of Christ in His Church, cared first of all for the spiritual well-being and salvation of Christ’s flock. He followed the words of His Master: Feed my sheep (John 21:16–17). Like St. Tikhon, Fr. Sebastian knew that, for the Serbian flock in America to be fed properly, they needed a Serbian archpastor and Serbian priests who spoke their language and understood their needs. This was the reason behind his attempt, at St. Tikhon’s behest, to organize the Serbian Orthodox Mission and to have a Serbian bishop consecrated for America. Fr. Sebastian was also completely open to the possibility of Serbian congregations in America being placed under the Serbian Church; however, as we have seen, at that time the Serbian Church was not yet ready to take full responsibility for priests and parishes in America. As far as Fr. Sebastian was concerned, the most pressing question was not what Local Orthodox Church—Russian or Serbian—the Serbs in America would be under (as long as they were under a canonical hierarchy), but rather how their spiritual needs would be met, how they would be nourished by the life and grace of the Church. Fr. Sebastian was greatly saddened that, at the end of the first decade of the twentieth century, the needs of the Serbs were not being met properly. For the nineteen chartered Serbian parishes in America (not to mention the smaller Serbian Orthodox communities), there were only eleven canonical priests. Non-canonical priests from Serbia took advantage of this situation, roaming the United States and performing services in Serbian communities without the blessing of any bishop. With no Serbian bishop assigned to America, and with many Serbs not wanting to be in the jurisdiction of the Russian Church, there was little Fr. Sebastian could do to stop this non-canonical activity. He was placed in the unenviable position of having to defend the canonical authority of the Russian hierarchy over American Serbs (because that was indeed the canonical authority at the time) despite the fact that many Serbs resented this authority, and despite the fact that he himself knew that the Serbian churches in America were at an impasse without their own bishop. The Serbian church communities in these cities and towns had been organized by Fr. Sebastian himself. As mentioned earlier, Fr. Sebastian had begun to establish a parish in the mining town of Angels Camp during his early visits to Jackson, located only twenty-seven miles away. In 1909 the Serbian community in Angels Camp, numbering about 1,500 people, began building a church. The church was consecrated on August 14, 1910, and was dedicated to St. Basil of Ostrog. Since the congregation in Angels Camp, together with those in Jackson and Bisbee, were already being served by priests from Serbia, Fr. Sebastian now settled among the Serbian congregation he had organized in Los Angeles, while paying regular pastoral visits to the smaller communities in Oakland and Fresno. Under his leadership, in 1909 the Los Angeles congregation purchased a large plot of land on the east side of the city for use as a cemetery, and began building a church on this land. Fr. Sebastian held services in a temporary home chapel while the church’s construction was underway. In 1911 the completed church was consecrated by Fr. Sebastian in honor of St.Sava of Serbia. Fr. Sebastian auctioned off all his valuable possessions for the medical treatment of wounded Serbian soldiers—including his archimandrite’s mitre from Russia, his jeweled pectoral cross from Serbia, his handpainted icons, all his awards and decorations from foreign dignitaries, and a handmade rug from Macedonia. Even the sacrifice of his small number of treasured possessions was not enough for him; he wanted to do more. Thus, although he had hoped to stay at the St. Sava Church in Los Angeles as the resident priest, he left this position and returned to Serbia in order to serve as a chaplain in the Serbian army. The trip lasted the better part of a year. During this time, Fr. Sebastian took the opportunity to make a pilgrimage to the holy places in Kosovo and the other Serbian Orthodox lands. While in Belgrade, as an American citizen he was invited to officiate at the United States Consulate for Thanksgiving Day services. In August 1913, having returned to the United States, Fr. Sebastian visited San Francisco and spoke at an Episcopal Church there. When St. Platon’s Orthodox Theological Seminary was established by Archbishop Platon in Tenafly, New Jersey that same year, he became one of its first instructors, bringing with him many years of experience of teaching in church schools. There he prepared for ordination several Serbian seminarians, who went on to become much-needed priests for the Serbian parishes in America. While based on the East Coast, Fr. Sebastian continued to travel to the Serbian parishes that were still without a priest, in order to serve the Divine Liturgy and pastor the faithful. These included not only parishes in the United States but also a parish in Canada: for a time he served at the Serbian Orthodox Church of St. Nicholas in Hamilton, Ontario, Canada, which was established in 1913. He also continued to be involved in conferences and discussions with the non-Orthodox. Here he took the same charitable yet uncompromising approach that he had always taken in witnessing Orthodoxy to the non-Orthodox, speaking the truth in love. World War I was then raging, and Fr. Sebastian felt he could not neglect his suffering brethren in the Old Country. He asked the Holy Synod of the Russian Church to release him so that he could serve the Serbian Church in the land of his ancestors. In 1917 this request was granted, and Fr. Sebastian went to Serbia once again to serve as chaplain in the Serbian army. On September 21, 1921, Metropolitan Varnava (the future Patriarch of Serbia) nominated St. Nicholai as Bishop of America, with Archimandrite Mardarije (Uskokovich) as his administrative assistant. Many pious people in Serbia objected to the nomination of St. Nicholai, being unwilling to relinquish their beloved “New Chrysostom.” Thus, in 1923 Archimandrite Mardarije was appointed administrator of the newly formed Serbian Orthodox Diocese of North America and Canada. According to Fr. Mardarije, the hierarchy in Serbia “were thinking of electing as Bishop for the American Church one of the three archimandrites in America, and they are: Sebastian Dabovich, GeorgijeKodzhich, both from California, and myself. Who will be chosen is a big question.” In its fall meeting of 1925, theHoly Assembly of Serbian Bishops elected Archimandrite Mardarije as the Bishop of the American- CanadianDiocese. On April 25, 1926, Fr.Mardarije was consecrated to the episcopacy in the Orthodox cathedral in Belgrade, and in July he arrived in his diocese as the first Serbian bishop of America. In the years following World War I, Fr. Sebastian traveled many times between America and Serbia, carrying on his untiring pastoral work. As St. Nicholai recorded, in 1921 Fr. Sebastian was “engaged by the American Bible Society to distribute Bibles in the Balkans.” In America, he continued to serve not only in Serbian Orthodox churches but also in the homes of believers who lived far from an Orthodox church or were unable to drive to one. One of these, Anna Smilanich, remembers Fr. Sebastian baptizing her as a child in 1926, in her family’s home in Long Beach, California. Fr. Sebastian also made missionary journeys to the Orthodox Mission in Japan, which had long interested and inspired him. St. Nicholai of Zhicha records that Fr. Sebastian, during his lifetime, crossed the Atlantic fifteen times and the Pacific nine times. He also writes that St. Nicholas of Japan, sometime before his repose in 1912, had offered Fr. Sebastian to stay in Japan and serve the Orthodox mission there. Although Fr. Sebastian did not stay there permanently, he was able to visit the Japanese Mission many times, offering his wealth of pastoral experience. I visited him frequently, asking how the brothers served him. His heart was failing. Fr. Rapaich was with him day and night. The last time, on my return from the diocese, I went to see him. Sitting in an armchair, he was breathing heavily and spoke in a whisper. ‘Do you have any wish, Father?’ I asked. He spoke no more. These were his last words, representative of his entire career on earth. After that he gave up his spirit. He died on November 30, 1940. Archimandrite Sebastian was buried in the cemetery of the Zhicha Monastery. Now, with the transfer of Fr. 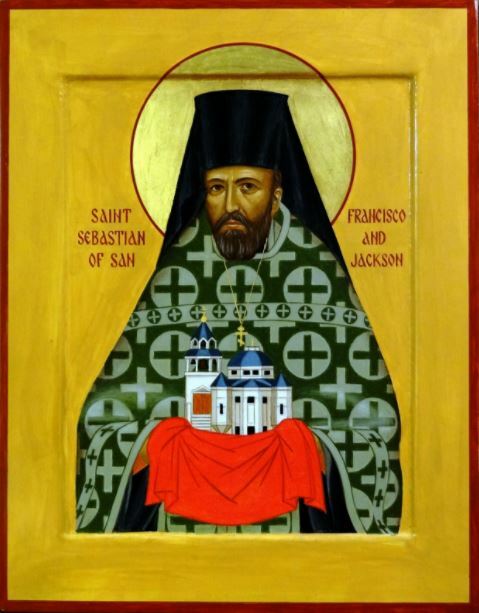 Sebastian’s relics from Serbia to America—to the first Serbian church in America, which he founded in Jackson, California—this outstanding missionary is at last being shown, in his native country, the gratitude of which he is worthy. He sacrificed himself unremittingly for Christ’s Holy Church throughout America and the world, creating new churches where they were needed, and spiritually strengthening those that already existed. It was his tremendous love for Jesus Christ and His Church that not only inspired but drove him in his apostolic ministry, that made him burn with zeal as he labored to bring all peoples into the fullness of the Church’s grace. We are the inheritors of his spiritual legacy in America—the legacy of a life given wholly to Christ. Alaskan-born priests were ordained before Fr. Sebastian, but this was when Alaska was still part of Russia. Mirko Dobrijevic (later Irinej, Bishop of Australia and New Zealand), “The First American Serbian Apostle—Archimandrite Sebastian Dabovich,” Again, vol. 16, no. 4 (December 1993), pp. 13–14. John R. Palandech, Commemorative Book of the Serbian Orthodox Church in Chicago, 1905–1955. Quoted in Mirko Dobrijevic (Bishop Irinej), p. 15. In this article we have spelled St. Nicholai’s given (first) name in the way that he himself spelled it when writing in English. Bishop Nicholai (Velimirovich), “Father Sebastian Dabovich,” in Serb National Federation Commemorative Book, 1951. Larry Cenotto, Logan’s Alley, vol. 4: Amador County Yesterdays in Picture and Prose (Jackson, Calif.: Cenotto Publications, 2003), p. 126. Fr. Sebastian Dabovich, “Pravoslavnaya Tserkov v Kaliforniye” (The Orthodox Church in California), Amerikanskii Pravoslavnii Vestnik (American Orthodox Herald), nos. 15–16 (April 1898). Written by Fr. Sebastian in San Francisco, February 12, 1897. Translated from Russian by Robert A. Parent. Constance J. Tarasar and John H. Erickson, eds., Orthodox America 1794–1976: Development of the Orthodox Church in America (Syosset, New York: The Orthodox Church in America, 1975), p. 29. “An Ordination Service Held at the Greek-Russian Church Yesterday Morning,” The [San Francisco] Morning Call, Monday, August 29, 1892, p. 2. Reprinted in Holy Trinity Cathedral Life, vol. 1, no. 6 (February 1994). Mirko Dobrijevic (Bishop Irinej), p. 14. Fr. Sebastian Dabovich to the Religious Council of the Diocese of North America in New York. Written in Los Angeles, December 2, 1915. Quoted in Bishop Sava of Shumadija, History of the Serbian Orthodox Church in America and Canada 1891–1941 (Kragujevac, Serbia: Kalenich, 1998), p. 256. The church was consecrated on June 24, 1894, by the hierarch of Alaska at that time, Bishop Nicholas (Ziorov), who had first visited Juneau two years before. “The History of St. Nicholas Church,” http://www.stnicholasjuneau.org/history.html. See also, http://dioceseofalaska.org/html/Juneaubelltower07.html. Tarasar and Erickson, p. 96; [Fr.] George A. Gray, ed., Portraits of American Saints (Los Angeles, 1994), p. 77. Fr. Sebastian Dabovich, The Lives of the Saints, and Several Lectures and Sermons (San Francisco: TheMurdock Press, 1898), p. 3. Fr. Sebastian dedicated this, his second book, to Metropolitan Isidore, who reposed in 1892. The above quotations are taken from Fr. Sebastian’s dedication. San Francisco Daily Evening Bulletin, vol. 67, no. 72, December 31, 1888. December 25, 1888/January 6, 1889. At that time there was a difference of twelve days between the old-style and new-style calendars. San Francisco Daily Evening Bulletin, vol. 67, no. 77, January 7, 1889. Tarasar and Erickson, p. 30. August 16/28, 1892. See note 21 above. “An Ordination Service,” p. 2. Brigit Farley, “Circuit Riders to the Slavs and Greeks: Missionary Priests and the Establishment of the Russian Orthodox Church in the American West, 1890–1910,” Occasional Paper 276 (Woodrow Wilson International Center for Scholars, 2000), p. 1. Ibid., referring to the letter of Fr. Sebastian Dabovich to Bishop Nicholas, November 17, 1892, Alaskan-Russian Church Archives, Records of the Russian Orthodox Greek Catholic Church of North America—Diocese of Alaska (Library of Congress, Manuscript Division, 1984), container D511/13, reel 520. Ibid., pp. 2, 4–5, and the letter of Fr. Sebastian Dabovich to Bishop Nicholas, November 17, 1892. Mirko Dobrijevic (Bishop Irinej), p. 15. Golden Jubilee Album, St. Mary’s Russian Orthodox Church (Minneapolis, 1937), p. 44. In Tarasar and Erickson, p. 96. Fr. Sebastian Dabovich to Protopresbyter Petar Stajchich, Ravanica Monastery in Srem, 1935. Holy Resurrection Serbian Orthodox Cathedral, 1905–2005 (Chicago, 2005), p. 48. The icon’s feast has been appointed to be celebrated on July 12/25. Leslie McLaughlin, “St. Sava Celebrates 110 Years in Amador,” Ledger Dispatch (October 28, 2004). “A New Greek Church,” Morning Oregonian, August 15, 1894, p. 10. Tarasar and Erickson, p. 35. This church was consecrated by Bishop Tikhon (later canonized as a saint; see below) in 1902. In 1996 the parish in Wilkeson, having outgrown its church building, moved to a nearby location in Tacoma. The original church in Wilkeson remains in pristine condition, and is used for occasional services. After the church in Jackson, it is the oldest surviving Orthodox church building in the western contiguous United States. Bishop Nicholas (Ziorov), “A Message to Hieromonk Sebastian (Dabovich) as He Is Awarded a Gold Pectoral Cross from the Office of His Majesty.” Translated from Russian. First published in English in Holy Trinity Cathedral Life, December 20, 1992. Orthodox American Messenger, no. 5, December 27, 1896, p. 143. Serbian Metropolitan Mihailo to Hieromonk Sebastian. Written in Belgrade, October 24, 1897. Quoted in Bishop Sava, p. 23. Hieromonk Sebastian to Metropolitan Mihailo of Serbia. Written in San Francisco, December 14, 1897. Quoted in Bishop Sava, pp. 23–24. Reader Alexander Vallens, “Archimandrite Sebastian Dabovich: The First American Serbian Orthodox Apostle” (2005), p. 5. http://www.transfigcathedral.org/faith/corner/Dabovich.pdf. Tserkovniye Vedomosti (Church Gazette), 1889, no. 10, p. 262. During his meeting with President Cleveland, Bishop Vladimir reported on the condition of his flock in Alaska. See Bishop Gregory (Afonsky), A History of the Orthodox Church in Alaska (1794–1917) (Kodiak, Alaska: St. Herman’s Theological Seminary Press, 1977), pp. 82–83. “Bishop Nicholas’ Complaint,” Washington Post, November 5, 1897. In Tarasar and Erickson, p. 73. “An Orthodox Ceremony,” The San Francisco Call, Tuesday, November 9, 1897. Tarasar and Erickson, p. 200. “Rev. Sebastian Dabovich Honored by the Czar of Russia,” The San Francisco Call, Wednesday, June 17, 1899. Fr. Sebastian Dabovich, Preaching in the Russian Church (San Francisco: Cubery and Company, 1899), p. 130. Fr. Sebastian Dabovich, Preaching in the Russian Church, pp. 160–62. Fr. Sebastian Dabovich, The Holy Orthodox Church: The Rituals, Services, and Sacraments of the Eastern Apostolic (Greek-Russian) Church (Wilkes-Barre, Pennsylvania, 1898), p. 74. American Orthodox Messenger, no. 2, September 15–27, 1897, pp. 45-46. In Russian. Fr. Sebastian Dabovich, The Lives of the Saints, and Several Lectures and Sermons (San Francisco: The Murdock Press, 1898), pp. 164–66. Tarasar and Erickson, p. 33. Fr. Sebastian Dabovich, “The Madonna of Alaska: A Tale of the Greek-Russian Church in Many Lands” [an overview of Orthodox Nativity traditions], The San Francisco Sunday Call, Christmas Number, December 20, 1903, sec. 2, p. 1. Fr. Sebastian Dabovich, Preaching in the Russian Church, p. 4. Ibid., pp. 64–77. This article was reprinted in The Orthodox Word, no. 5 (1965), pp. 182–87, along with an article by Eugene (later Fr. Seraphim) Rose about Fr. Sebastian (see p. 70 below). Fr. Sebastian Dabovich, The Lives of the Saints, and Several Lectures and Sermons, p. 181. Fr. Sebastian Dabovich to the Religious Council of the Diocese of North America in New York. Written in Los Angeles, December 2, 1915. Quoted in Bishop Sava, p. 256 (see also pp. 43, 240). In 1937 the church in Douglas burned down, but the Serbian cemetery still remains nearby. Quoted in Holy Resurrection Serbian Orthodox Cathedral, 1905–2005, p. 52. In 1936–1937, the address was changed to 1950 West Schiller Street. Fr. Sebastian Dabovich to Protopresbyter Petar Stajchich, Ravanica Monastery in Srem, 1935. The church building on Fowler Street served the parish until 1932, when a new church was built on the same spot. A Chicago Tribune article from 1932 stated that only two buildings were being built in the city at that time, in the midst of the Great Depression: one was the post office, and the other was Holy Resurrection Church. In 1964 the church was elevated to the title of Cathedral, and in 1975 a new church building was consecrated for the congregation on Redwood Drive. Slovo Pravoslaviya v Amerike: Propovedi i poucheniya Svyatitelya Tikhona (The Word of Orthodoxy in America: Sermons and Teachings of Holy Hierarch Tikhon) (Moscow: Sretensky Monastery, 2001), pp. 143–44. Translated from Russian. Archives of the American Orthodox Church, no. 1129, July 23, 1908. Quoted in Bishop Sava, p. 216. Fr. Sebastian Dabovich to Archbishop Platon. Written in Denver, Colorado, September 29, 1908. Quoted in Bishop Sava, p. 278. Bishop Sava, pp. 34, 40. Serbian Church-School Congregation in Steelton, Pennsylvania, to Serbian Patriarch Georgije, October 19, 1905. Quoted in Bishop Sava, p. 30. Holy Resurrection Serbian Orthodox Cathedral, 1905–2005, p. 51. Bishop Sava, pp. 35, 42, 176–77. Fr. Sebastian Dabovich to Archbishop Platon. Written in Oakland, California, December 6, 1909. Quoted in Bishop Sava, pp. 34–35. Fr. Sebastian Dabovich to the Holy Hierarchical Synod, Karlovci Patriarchate. Written in Oakland, California, December 14, 1909. Quoted in Bishop Sava, p. 35. Decision no. 4822 of June 22, 1910, Archives of the Synod of the Russian Orthodox Church. Quoted in Bishop Sava, p. 36. Fr. Sebastian Dabovich to Archbishop Platon. Written in Oakland, California, December 6, 1909. Quoted in Bishop Sava, p. 35. Serbian Orthodox churches were eventually consecrated in Oakland and Fresno, in 1926 and 1957 respectively. This church building served the Serbian community until 1963, when the new St. Sava Church was built in San Gabriel. The old church still stands, surrounded by the Serbian Orthodox cemetery, and services are still held in it occasionally. “Patriotic Sacrifice,” Los Angeles Times, October 25, 1912, p. II-9. Evidently this mitre was different from the above-mentioned mitre given him by St. Tikhon. Fr. Sebastian Dabovich to Nikola Pashich. Written in Skopje, November 20, 1912. Quoted in Bishop Sava, p. 49. Bishop Sava, pp. 11, 18. “Decree of His Imperial Highness, All-Russian Autocrat and the Host Governing Synod to Aleutian and North American Archbishop Evdokim,” St. Petersburg, June 18, 1916. Quoting from “Archbishop Evdokim to the Most Holy Governing Synod,” New York, June 15, 1915. Quoted in Bishop Sava, p. 56. “Svjedjenije” (Testimony), October 18, Archives of the American Orthodox Church. Quoted in Bishop Sava, p. 60. Evidently an accusation that Serbian priests, who had beards, were behaving like children. Priest Matej Stijachich to Archimandrite Sebastian. Written in Indiana Harbor, Indiana, November 15, 1916. Quoted in Bishop Sava, p. 184. Bishop (later Archbishop) Alexander (Demoglou) of Rodostolon. Fr. Sebastian Dabovich to Serbian Patriarch Dimitrije. Written in New York, March 30, 1921. Quoted in Bishop Sava, p. 86. Fr. Daniel Rogich, Serbian Patericon, vol. 1 (Platina, Calif.: St. Herman of Alaska Brotherhood, 1994), p. 234. Archimandrite Mardarije to Dr. Paja Radosavljevich. Written in Chicago, Illinois, April 3, 1924. Quoted in Bishop Sava, pp. 109–10. “Report of Bishop Nicholai of Ohrid to the Holy Bishops’ Assembly Concerning the Situation and Needs of the Serbian Orthodox Church in America,” Sremski Karlovci, June 26, 1921. Quoted in Bishop Sava, p. 93. Anna was born in 1922 to Drago and Elena Vuksanovic. She now lives in Fresno, California, where her son-in-law, Protopresbyter George Gligich, is the rector of the St. Peter Serbian Orthodox Church. “Statement/Appeal of the Priesthood of the Serbian Orthodox Church of the American-Canadian Diocese, Humbly Sent to His Holiness, Archbishop of Pech and Metropolitan of Belgrade and Karlovac, Dr. Gavrilo, Patriarch of Serbia.” (This document is not dated; since His Holiness Gavrilo was elected patriarch in 1938 it would have been written during the last two years of Fr. Sebastian’s life.) Quoted in Bishop Sava, p. 188. Mirko Dobrijevic (Bishop Irinej), p. 13. As will be seen in the article that follows, this same epitaph was later inscribed on Fr. Sebastian’s headstone in Jackson, California.